Pinterest is a virtual pin board that helps you in organizing important stuff for greater productivity. 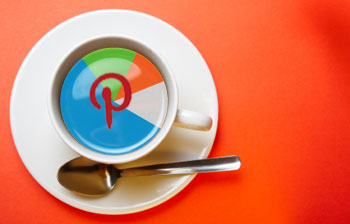 The unique ability to browse others’ pinterest has made this tool very popular. According to a survey, Pinterest is the third most popular social channel with Facebook and Tumblr ruling the domain. In order to enhance brand awareness and appeal to the target audience it is essential to use the pins properly. “Clicks per Pin” and “Re-Pins per Pin” are the two most important Pinterest analytics. Determining the exact number of clicks is vital in knowing the success of your marketing campaign. Re-pins indicate the inclination of users to share information among them. Paying close attention to this parameter will help you in devising a good strategy to achieve short term as well as long term goals. Does pinterest contains an analytics dashboard? Pinterest does not have an innate analytics dashboard on the console. 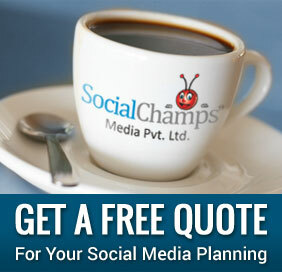 However, your website is capable of tracking referral traffic to web pages from pinterest. On the other hand, pinterest analytics tools have also been developed for better convenience. Not only do these permit you to track hundreds of your active pins but also competitors’ pins. Nonetheless, unlike social networking websites, a pinterest can accurately show the number of referral clicks an item has received. It also allows you to acknowledge people for recommending or promoting your content by creating a communication channel with the ones interested in your pins. How to accumulate pinterest analytics? Accumulating all your pinterest analytics in a single location can prove to be a laborious task. However, by following certain techniques, the work can be made easier. This usually refers to the method of URL shortening and redirecting. This will help you acquire all the relevant data in a central location which you can later use to compare with metrics from other sources. You also need to take special care of visual data feeding the pin as they stand a greater chance of being removed from the website. These broken links have a great impact on pinterest analytics. There are pinterest analytics tools such as Curalate, Pinerly, PinReach, Repinly, Pinfluencer and many others that might assist you in boosting your online influence. With the data obtained from these tools and by studying the current trends, you can strategize existing as well as future campaigns. While social networks are undoubtedly an excellent platform to promote a brand, pinterest analytics can assist you in knowing how the audience is responding to services/products offered.